A350 XWB News: Qatar announces the long haul work for A350s after a 1 year long introduction phase. Qatar announces the long haul work for A350s after a 1 year long introduction phase. The first destinations of the A350 (Doha-Frankfurt and Doha-Singapore) are mid-range, with flying times of 6 to 8 hours. These can be seen as introductory rotations, close to Qatar’s base should replacement aircraft or maintenance actions be needed. 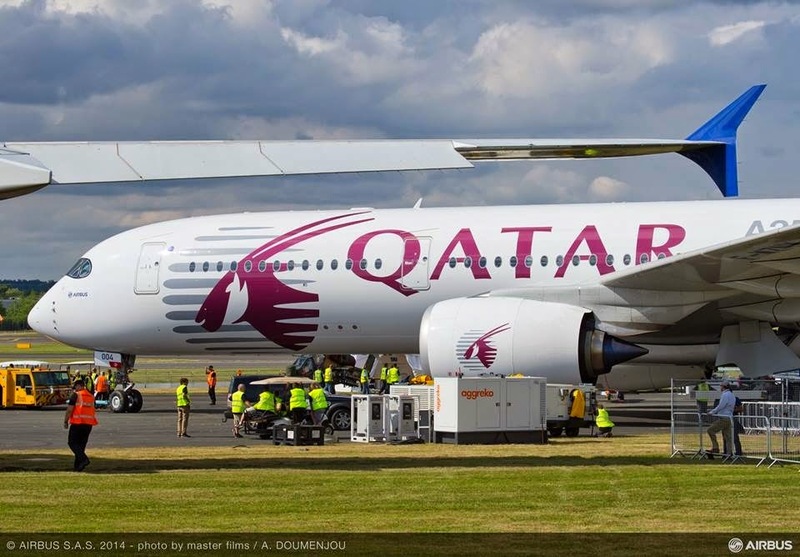 With the 1st period in the bag, Qatar now feels confident enough to announce how they will take the A350 to its true job types; routes to New York´s JFK and Boston spring next year. This announcement thereby means the honeymoon for A350 is over and it’s time for work. The Doha-New York-JFK route is 6,000nm great circle distance which, when flying west means air distances of up to 7,000nm equivalent range due to persistent westerly winds. This is close to the practical range of the Qatar’s A350. 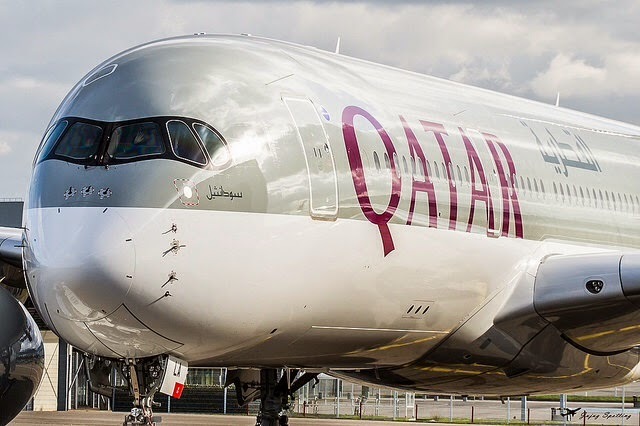 Both of the announced destinations are true long-haul rotations with flying times of 14 hours going from Doha to New York and 12 hours on the return leg. The Boston destination is 20 minutes shorter in both directions. 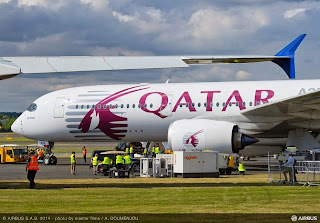 This is then a good opportunity to look at what performance Qatar can expect from the A350, both in terms of additional revenue from cargo at different load factors and what fuel burn differences they will see compared to the Boeing 777-300ER that flies the New York rotation today. 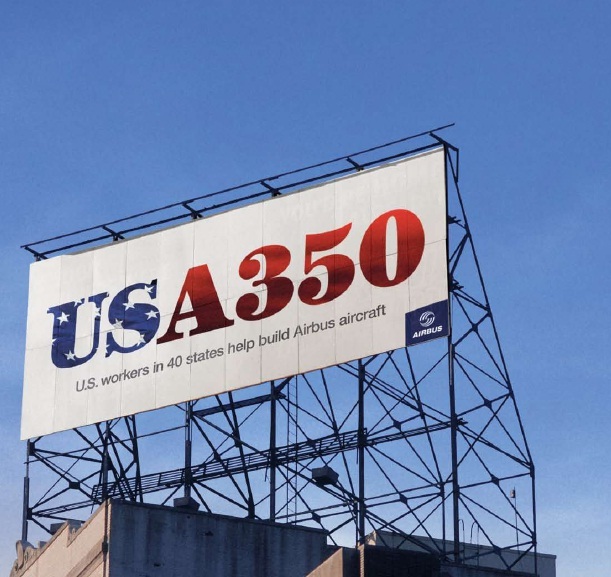 Based on the article “Airbus A350 start stretching its wings” published in Leeham. Great to see Qatar moving on with the A350-shame that the same can't be said of Airbus-still dragging its feet on the production line.By now there should be other airlines flying the A350.